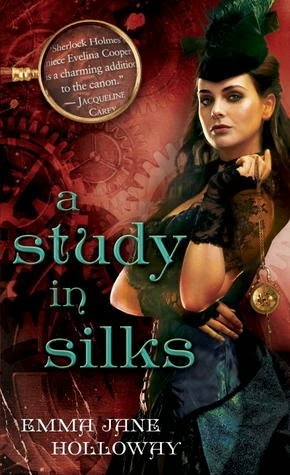 RhiReading: Grab these two short steampunk shorts! I will be sharing a few series, one of which are the The Baskerville Affair novels from Emma Jane Holloway. In the meantime, however, I thought I'd share with you two shorts they are offering, a prequel (below) and one set between A STUDY IN SILKS and A STUDY IN DARKNESS. Please enjoy!